The third round of Arab Hope Makers initiative, the largest of its kind in the region, was launched to celebrate more inspiring philanthropic efforts that serve humanity and make a difference in societies. 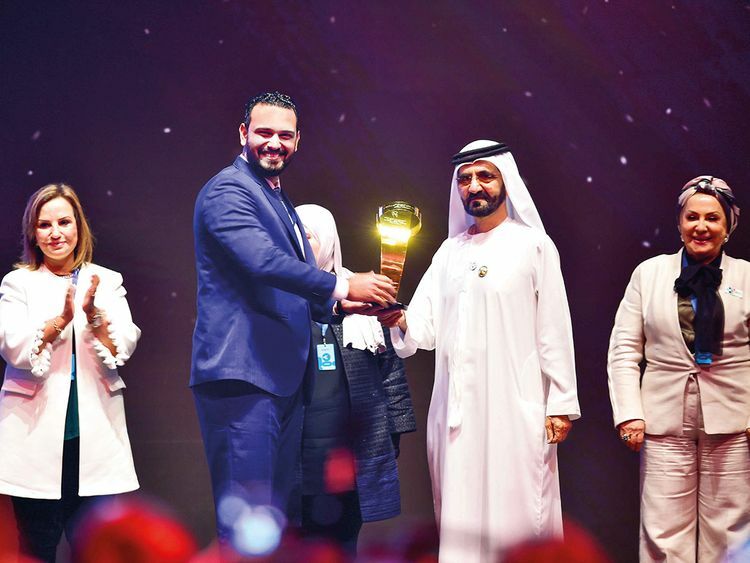 Under the umbrella of Mohamad Bin Rashid Al Maktoum Global Initiatives (MBRGI), Arab Hope Makers are recognised for their humanitarian projects and initiatives that improve lives, alleviate the suffering of those in need and empower marginalised groups. Through honouring people who devote their time and efforts to help others, the initiative aims to spread hope and instill the value of giving in society to fight despair and pessimism in the region. 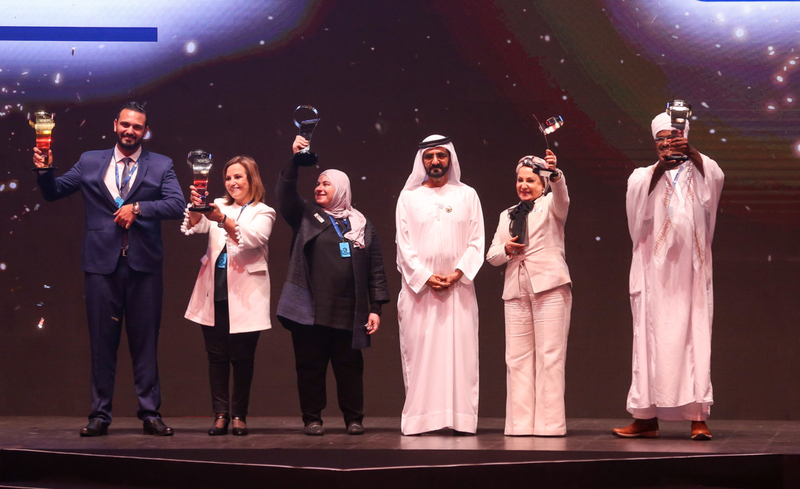 Shaikh Mohammad said the initiative’s previous two editions proved that “the Arab world is home to thousands of inspiring unsung heroes and positive change makers” adding that “The Hope Makers are role models of altruism and compassion”. Since its launch in 2017, the initiative has recorded an overwhelming response of over 152,000 applications from different parts of the world. Through honouring Hope Makers and showcasing their initiatives, the Dh1 million award aims to encourage winners to continue their journey of giving and spread hope to help create a better world. The initiative celebrates individuals who master selfless giving through projects, campaigns and programmes that play an active role in fighting social, economic and health challenges in their communities. It highlights change-makers in the Arab world who have dedicated their lives to serving people and communities without seeking personal gains or recognition in return. Arab Hope Makers initiative reflects Shaikh Mohammad’s vision of instilling the culture of hope to spread optimism and positivity that empowers the youth to fight despair in the region. Highlighting different innovative campaigns and projects that serve the public reflects Shaikh Mohammad’s vision to mobilise human resources to build a more stable and prosperous future. Who is The Hope Maker? The Arab Hope Makers initiative is dedicated to individuals, teams and entities that seek to make a positive impact in societies through humanitarian campaigns and projects that address various fields. Hope Makers are those who improve lives through education, health, environment, culture, empowerment or community development initiatives, services and volunteering programmes. The Dh1 million award is open to anyone with a community initiative, volunteering or humanitarian initiative or works in a philanthropic team or entity that serve communities anywhere in the world. Registration is now open for individuals, teams and entities that improve lives through an initiative, service or volunteering programme in education, health, environment, culture, empowerment and community development. Candidates can submit their stories of hope on the website www.arabhopemakers.com as part of the registration process that will continue for a month. The winner will receive the Dh1 million award in recognition of his efforts and as financial support to develop and expand their humanitarian projects to impact more people. Specialised committees are formed to review and evaluate applications. Meanwhile, inspiring stories, documented in photos and videos, are published in print and digital media. They are also shared on Arab Hope Makers social media platforms with the public. Candidates go through several qualifying stages before reaching the final qualifications held in Dubai. Committees comprehensively evaluate entries and examine documents to verify credibility of initiatives before announcing the Arab Hope Maker, selected among five finalists, in a grand award ceremony in Dubai. Finalists are selected based on their commitment, positive reputation in their communities, credibility, trustworthiness, the impact of their initiatives. The evaluation process also reviews objectives, creativity, sustainability and continuity of initiatives, assessing chances of development and the impact made in relation to resources used. Egyptian Mahmoud Waheed was named the Arab Hope Maker 2018 after an audience and judges vote in the grand ceremony. But His Highness Shaikh Mohammad Bin Rashid Al Maktoum, Vice President and Prime Minister of UAE and Ruler of Dubai, surprised the crowd when he granted Dh1 million to each of the five finalists to support their endeavours and encourage them to continue making a difference. He made the same surprising gesture the previous year during the ceremony of the initiative’s first edition in 2017. Waheed won the title for his “Together to Save a Human” association that shelters and rehabilitates elderly homeless people, reuniting them with their families with the help of volunteers. Waheed was announced among over 87,000 participants who took part in the initiative’s second edition. The four other finalists were Sudanese Faris Ali whose “Food for Education” initiative distributed sandwiches to school students and fed homeless children in efforts to beat the hunger and encourage education in poor villages; Egyptian reporter Nawal Mustafa who devoted her life to empowering female prisoners and their children through several projects and campaigns that rehabilitate and equip female inmates with necessary skills to help them make a living and achieve independence once released. Mustafa’s ‘Children of Female Prisoners Association’ highlights and fosters children who live behind the bars with their mothers; Manal Al Musallam whose daughter’s tragic drowning incident sparked the foundation of ‘Dana Volunteering Group’ that provides aid and relief items to Syrian refugees and displaced families; and former Iraqi beauty queen Seham Jarjees whose several humanitarian initiatives alleviate the suffering of internally displaced Iraqi families and refugees residing in camps. As part of her initiatives, Jarjees establishes orphanages, renovates homes for widows, builds classrooms for People of Determination and establishes shops to help widows make a living. Launched in February 2017, the Arab Hope Makers received overwhelming 65,000 applications from all over the Arab world in its first round, largely exceeding the initial targeted 20,000 entries. After a fierce competition, 20 participants from different parts of the Arab world reached the semi-finals for their creative initiatives that covered different humanitarian and social fields. The Arab Hope Makers succeeded in displaying stories of individuals who added light and hope to people’s lives regardless of circumstances. Entries passed through several qualifying stages before five finalists with the most impactful initiatives were selected to attend the grand ceremony in Dubai. Italy-based Moroccan Nawal Al Soufi was voted as the Arab Hope Maker in 2017 for dedicating her life to help save over 200,000 refugees fleeing war to Europe on boats. The inspiring finalists of the first edition were Ma’ali Al Assousi who left a lavish life in her homeland Kuwait over 10 years ago and moved to launch humanitarian initiatives that improved thousands of lives in war-torn Yemen; The White Helmets, officially known as Syria Civil Defence, who risked their lives during the war to pull victims from the rubble of collapsed homes in Syria; Iraqi Hisham Al Dahabi who established “Iraqi House of Creativity” to shelter hundreds of homeless children; and Egyptian Magda Jobran, known as Mama Magi, who devoted her life to serve the poor in Egypt.